Architect Anjie Cho turns a client's two-bedroom railroad apartment in Chelsea into a spacious, modern oasis. NYS: We love the whole design concept for this space! What was the client's directive? Anjie Cho: The client desired a modern and simple design for this two-bedroom railroad apartment. She wanted to maximize the living space, add storage, update the kitchen and bathrooms, as well as brighten up the space with the finishes. The client was also living abroad for the majority of the design and construction so we worked via email and phone. NYS: You seem to have a very global sensibility. 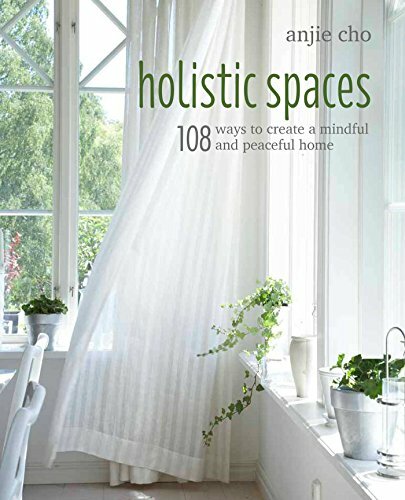 What aspects of the design are inspired by travel or your love of holistic living? Anjie Cho: Actually, my sensibilities are highly influenced by the homeowner. They will be living there, not me! So in this particular design, the client was very cosmopolitan. She had lived in: Morocco, China, Italy, and was French! But because she was so globally-minded, she also embraced holistic design and feng shui which we used in her space. All of this inspired the furnishings, artwork and layout. NYS: What, if any, interior renovations did you have applied to the apartment? Anjie Cho: The construction renovation scope included: new kitchen layout and design, new built in cabinets (bedroom and in living area), refinishing of existing flooring, stripping of window moldings, and we also restored the existing fireplace mantel to the original condition. NYS: We absolutely love the approach to the kitchen/dining area. What was the inspiration here? Anjie Cho: The client and I both love simplicity—so we went with the shaker style doors in a decorator's white and also the white refrigerator. We also wanted to maximize the vertical space for storage. In the future, the client and I are planning to design a custom library ladder for the top cabinets. She also wanted to be able to entertain, watch her son, and look out into the living space while cooking. I've had many a glass a wine and cheese with her there! NYS: Where is the countertop from and what made you choose this specific material/color? Anjie Cho: The countertop is honed Italian Carrara marble. One of my favorites. The client also loved it as well. We chose it together because although marble is challenging to care for, the look is just classic, simple and beautiful! NYS: Can you tell us about the painting? It is very interesting! Anjie Cho: The client loves Bali and this is an original Balinese painting that she brought with her from her last residence in China. She describes it as "a large format Batuan traditional Balinese painting. This specific style often depicts crowded villages during celebration. The scenes are considered surreal as mix in both lives of villagers together with their venerated deities." I absolutely adore it! NYS: Where did you find the lighting? Anjie Cho: Most of the lighting was purchased from West Elm. Other pieces were from her previous residence. NYS: What was the approach to the bedroom? Where did you source your bedding and that beautiful mirror? Anjie Cho: The bedroom is incredibly small (New York City apartments! ), so we wanted to maximize the space but still provide some storage for closets. We designed the millwork so that the client would have a desk and vanity space as well as closet space for hanging clothing and drawers. The white organic duvet cover is from West Elm, and the round walnut mirror from Organic Modernism. The feng shui purpose of the mirror above the bed was to encourage harmony in the marriage. The red throw is to add a little bit of passion into the bedroom and the balance the five elements (earth, water, fire, metal and wood) in the space. NYS: Can you tell us how adding plants to your space (we love those three in the windowsill) adds to your sense of peace? Anjie Cho: Ah yes, the three plants in the window were also a feng shui adjustment. This particular placement is in the "New beginnings–Family" area of the home, and the purpose was to support the family's "new beginning" moving back to the States. In feng shui, plants add life energy, flexibility and kindness in your environment. On a practical level, green plants also improve the indoor air quality, which also contributes to a peaceful home. NYS: We love that you left the brick walls. Did you paint the living/dining area's walls white? If so, why? Anjie Cho: The brick was exposed when we started, and we loved it although it made the space a bit dark. We opted to paint a matte white wash on the exposed brick so there was still some of the natural brick and texture coming through. Dark colors absorb light, and white reflects. So just painting the exposed brick white added tremendous amounts of light to the space. NYS: What advice would you give someone who would like to replicate the look of this space? Anjie Cho: Look for cool whites (like Benjamin Moore's Decorator's White) and brown walnut pieces. We painted the walls Decorator's White, and used earthy tones in the rest of the space. Also find some pieces that you love, like the Balinese painting or a Buddha—again with the earthy tones. NYS: What is one of your favorite design aspects of the finished project? Anjie Cho: My favorite is the closet in the living room with the Buddha in front. I love the invisible doors that blend into the wall! It's my favorite thing to design.